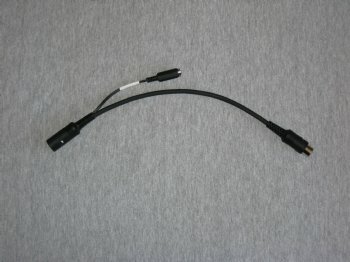 The DMV Electronics Phantom Power Insertion Cable allows phantom power to be inserted into a standard 5 wire MIDI cable without having to modify your equipment. (Voltage travels towards your FCB but can not travel towards your processor. MIDI data passes freely.) The power brick connector is a 5.5/2.1mm jack but, a 5.5/2.5mm plug will also work.